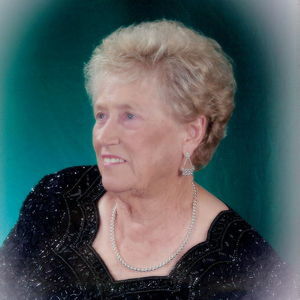 Willie Mae B. Thompson, 93, of Clinton, formerly of Bladen County, passed away on Saturday, February 23, 2019. She was preceded in death by her parents: William and Laura Lee Prevatte; husband: Henry Thompson and grandson: Jamie Thompson. Willie Mae leaves behind one son: James (Dickie) Richard Thompson and wife Catherine Cashwell Thompson of Dublin; two daughters: Vickie Gail Sutton and husband Benny Sutton of Elizabethtown, Tonia Thompson Shaw and husband John Q. Shaw of Clinton; three brothers: Harwell Prevatte of Columbia, SC, Jack Prevatte of Jacksonville, NC and Robert Prevatte of Shallotte, NC; two sisters: Sandra Hewette of Supply and Bonnie Evans of Shallotte; six grandchildren: Tammy Riggan, Angela Smith, Michael Shaw, Susan Jackson, Billy Sutton, Jamie Thompson; fourteen great-grandchildren: Christopher Sanders, Caleb Sanders, Zachary Smith, Alexis Smith, Jonathan Smith, Noah Shaw, Skyler Shaw, Morgan Jackson, Dylan Jackson, Megan Larson, Branson Jackson, Logan Jackson, Payton Jackson and Megan Jackson. Willie Mae enjoyed life with great passion. She always fought the good fight. Spent her hours on earth raising family and grandchildren along with working at Bladen Cotton Mill. Her desire was to teach all things that was pleasing before her Father in Heaven. What An example before 5 generations. To Dickie,Gail,Tonia and family our mother and grandmother was our heartbeat. There will be the day our heart beat will cease and we will see her again. The family will receive friends from 4-6pm on Tuesday, February 26th at Bladen-Gaskins Funeral Home in Elizabethtown followed by a funeral at 6pm with Pastor Cory Jackson and "Barnabas" Michael Shaw officiating service. The burial will be held on Wednesday, February 27th at 11am in the Cashwell Cemetery. Add your thoughts, prayers or a condolence to Willie Mae's guestbook.